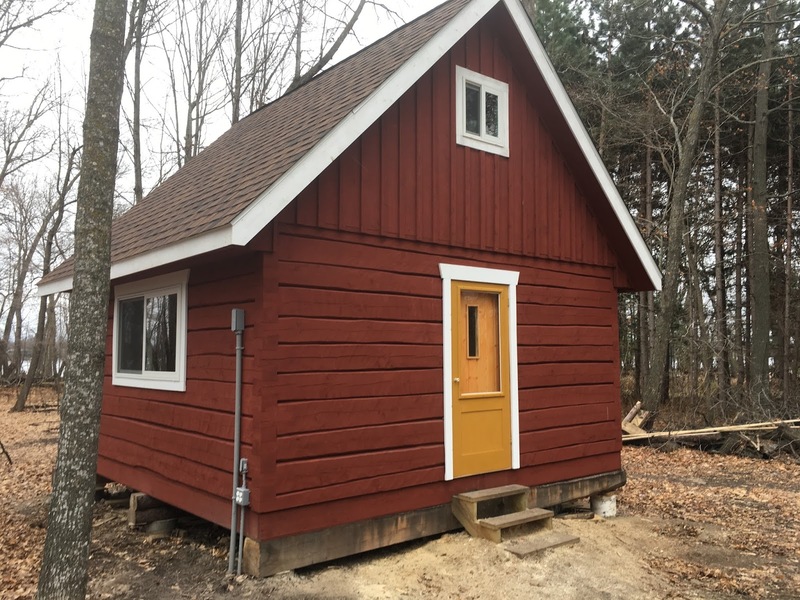 We offer art and fine craft workshops throughout the summer for various skills such as blacksmithing, pottery, knife-making, and more. 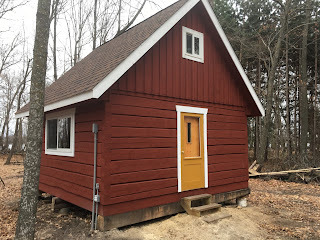 What's Raspberry Island Folk School? 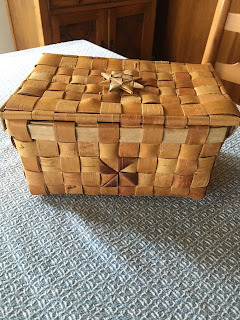 Because we run our folk school from our home, visitors are welcome **by prior arrangement only**, by calling Gary at 218.851.6085 or Janet at 218.259.4090. Classes are held only from May to September; there are no winter classes. Thanks! We started offering summertime classes in blacksmithing and pottery on the island several years ago, mainly taught by Gary himself. 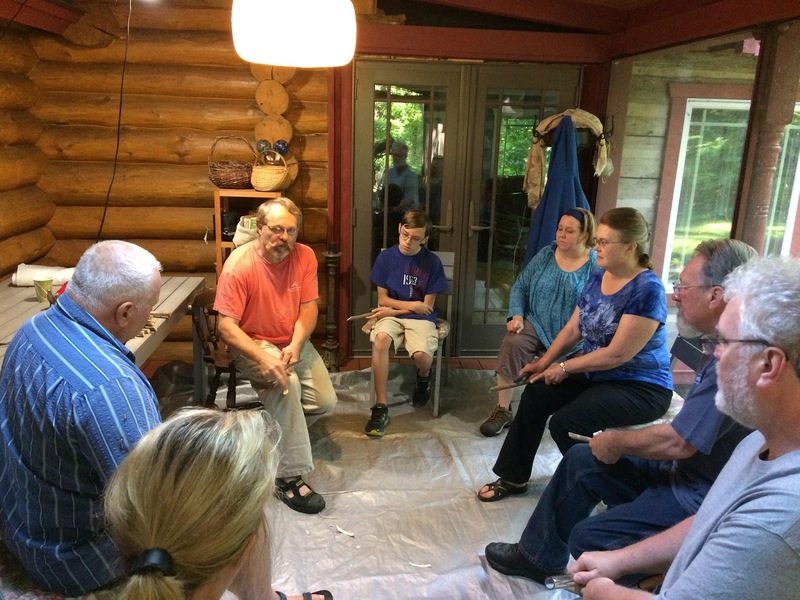 Over the years, we've expanded our offerings to workshops taught by well-known and sought-after instructors in the folk arts. 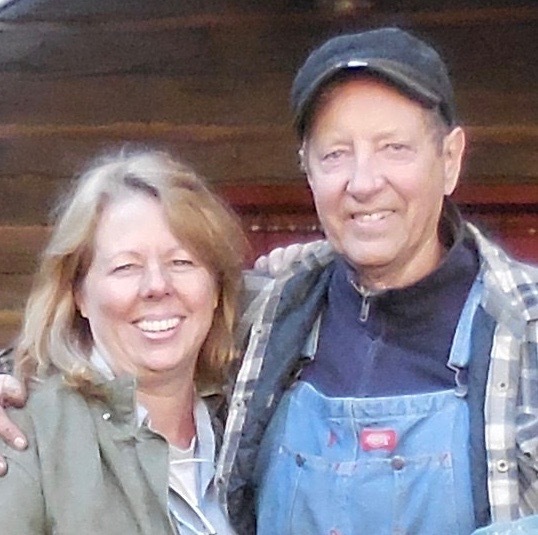 Our mission is to bring low-cost, high quality instruction in the traditional folk arts to our community and beyond. Class offerings and sign-up information are provided below. We look forward to having you join us for an art and nature break! Spring and summer 2019 we'll be offering the following workshops. Keep checking back for updates. Go to How to Register for a Class to sign up. A beginning class in the principles of blacksmithing using a coal fired forge. No previous forging experience required. This one-day class includes starting and maintaining a coal fire in the forge, tapering, upsetting, hot cutting, fullering, swaging and forge welding techniques. Projects will apply these principles. What to bring: Bag lunch, safety glasses, boots, ear protection, leather gloves and cotton clothing. Course fee: $40 (includes all materials). High School students 14 years and older are FREE! A blacksmith class in making a pair of tongs to be used at the forge. No previous forging experience required. What to bring: Bag lunch, safety glasses, boots, ear protection, leather gloves and cotton clothing. High School Students are FREE! 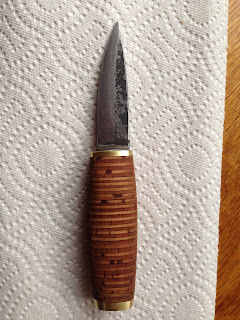 This two-day introductory class will take you through the basics of pattern welded/Damascus steel to make either a blade or small tool. On the first day, using high carbon steel, we will focus on material preparation, and will forge-weld a small billet by hand. 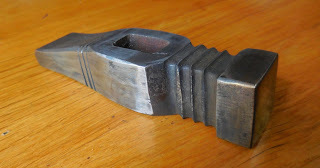 Our subsequent larger billets will be done with the help of the power hammer. Pattern manipulations such as random and twist will be followed by raindrop and ladder as student proficiency allows. In the evening we will go into forge welding billets of steel cable and chain. Day two will consist of shaping, polishing, heat treatment, and etching. We will also be continuing work begun the previous day. Students will go home with a couple of billets of their own creation to use in other courses and projects, as well as the knowledge to make more. Wheel Pottery Class for all ages. Learn to throw your first mugs, bowls, vases etc. or get back into it if you have thrown pots in the past. Course fee includes 25 pounds of clay and over 100 combinations of glazes. All tools and firings are provided. No experience required. Electric wheels and one kick wheel available. Course fee: $10/session, must register for all 5 sessions, at $50/person. Two hundred years ago, there was a blacksmith shop on the western shore of Sandy Lake on Brown’s Point. Blacksmiths were extremely important in the early days as they made and repaired the tools and wares of the day, including: axes, hoes, horse and ox shoes, fur traps, fish spears, knives, fire steels and gun parts. 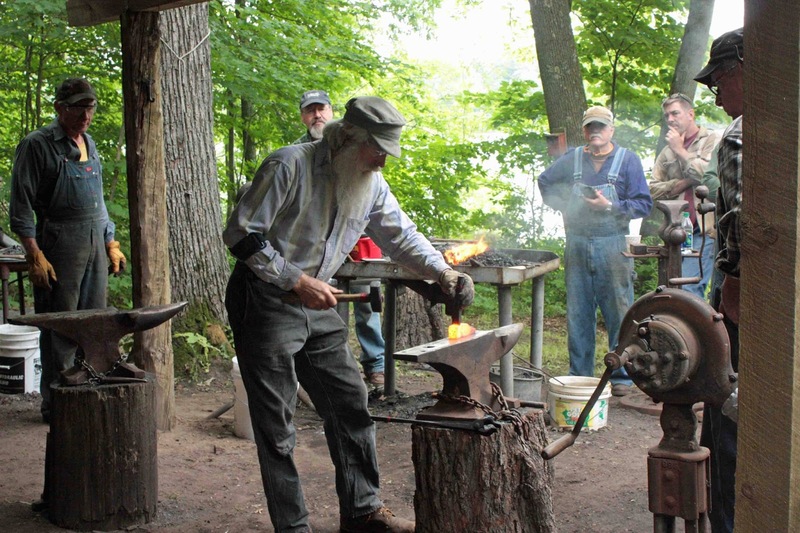 Today there is once again a blacksmith shop on the lake -- Sandy Lake Forge -- offering a chance to learn about this ancient craft. 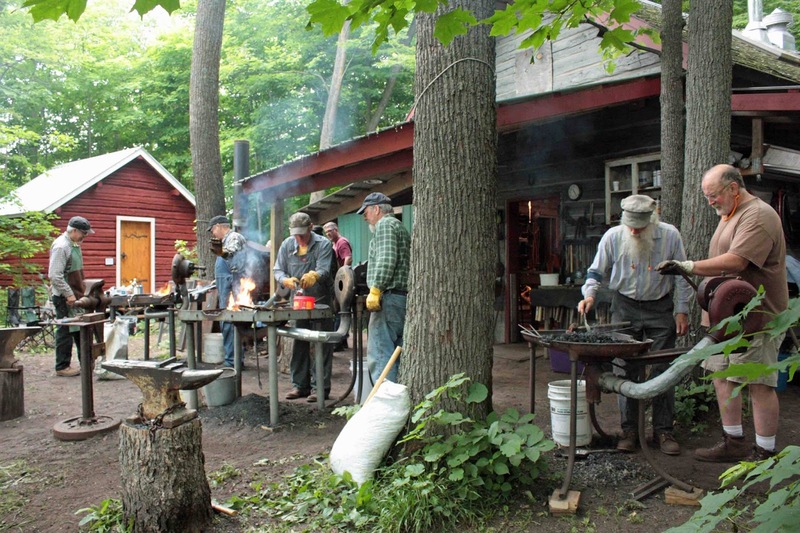 Participants will tour the smithy and learn about the function of the many tools in the shop. Traditional blacksmithing techniques will be demonstrated and students will have the opportunity to forge a fire steel using hammer, anvil and coal forge. Students will put their skills to use by trying their hand at starting a fire with a piece of flint and the fire steel they made. What to bring: Cotton clothing, gloves, boots, long sleeves and long pants, eye protection, ear protection. Bag lunch or snack and water bottle. Be ready to go at our dock at 50569 218th Place, McGregor (Big Sandy Lake) by 9:00 a.m. for a short pontoon ride to the island. If you are running late you must contact Gary at 218.851.6085. The pontoon leaves the dock promptly at 9:00 a.m.. You will be returned to the dock at 1:00 p.m. 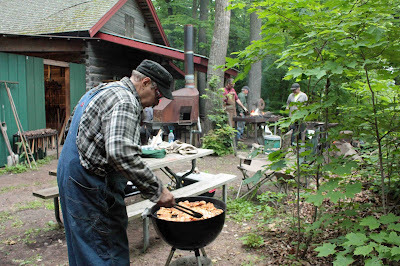 Early frontier cooking was often done by roasting foods over an open fire of hot coals. A roasting fork is a useful and efficient way to accomplish cooking over a fire. Students will forge a roasting fork and then use their own handmade fork to roast a hotdog or bratwurst over a cpfire. What to bring: Cotton clothing, gloves, boots, long sleeves and long pants, eye protection, ear protection and water bottle. Lunch is provided. Be ready to go at our dock at 50569 218th Place, McGregor (Big Sandy Lake) by 9:00 a.m. for a short pontoon ride to the island. If you are running late you must contact Gary at 218.851.6085. 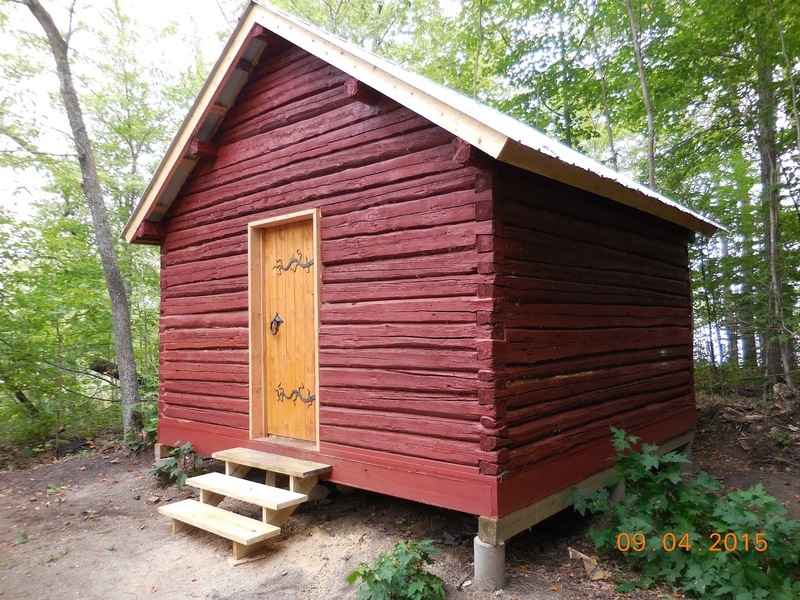 The pontoon leaves the dock promptly at 9:00 a.m. You will be returned to the dock at 1:00 p.m.
Students will create small six board chests starting with the log and completed with forged hardware. Boards will be split and planed flat then fastened together with pegs or forged nails. Many construction details will be similar to the larger chest included in the Mastermyr find. 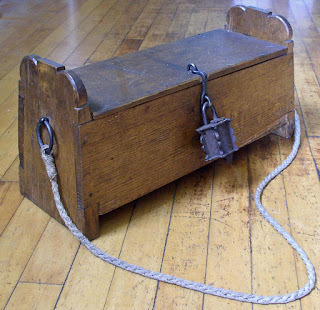 Hinges will be either of the clinched wire type used from early times through the 18th century or wire end straps fastened with nails, as on the Mastermyr chest. 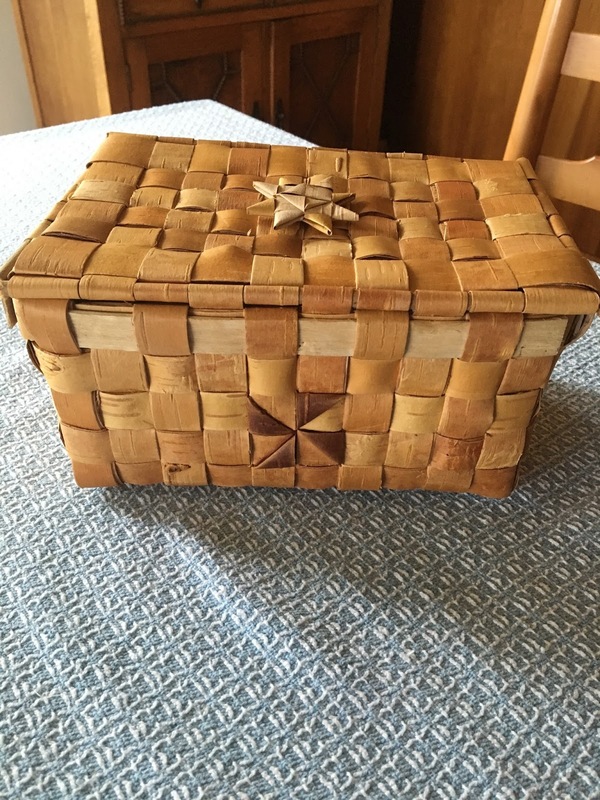 Size will depend on quality of the log, but the example pictured is 9” tall by 18” long and 7” deep, which should be a size possible from the available log. (The viking era padlock shown is not a part of this course). No prior forging experience is necessary. 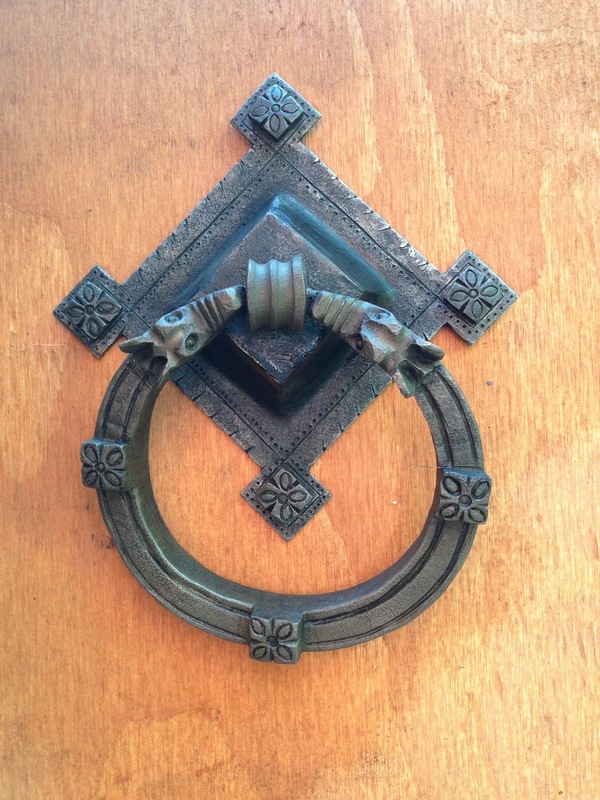 Learn tinworking skills while creating a work of art for your home. 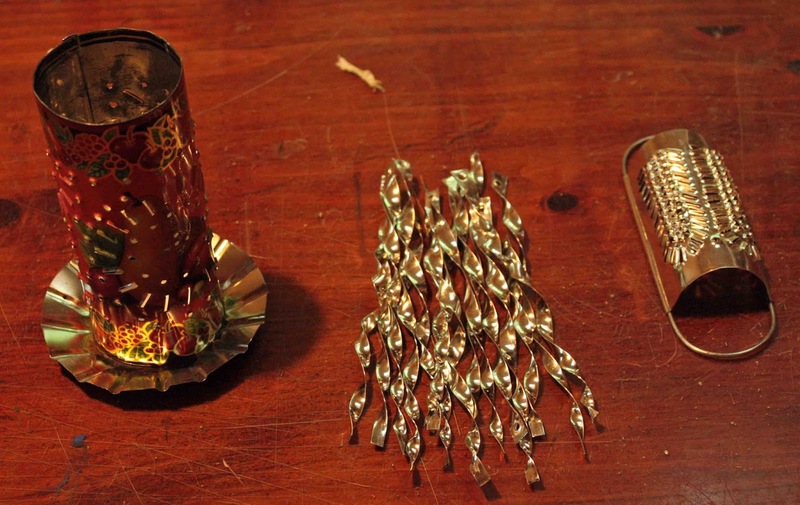 Pierced tin lanterns like this were common in Europe and the Americas from the 14th to the 19th centuries. They protect candles from the wind on shipboard and in barnyards, and the piercings provide charming twinkling light patterns. In this class students will cut pattern pieces from tinplate, punch the pieces with the pattern of their choice, and assemble the lanterns. All materials and tools are provided. No prior experience necessary. 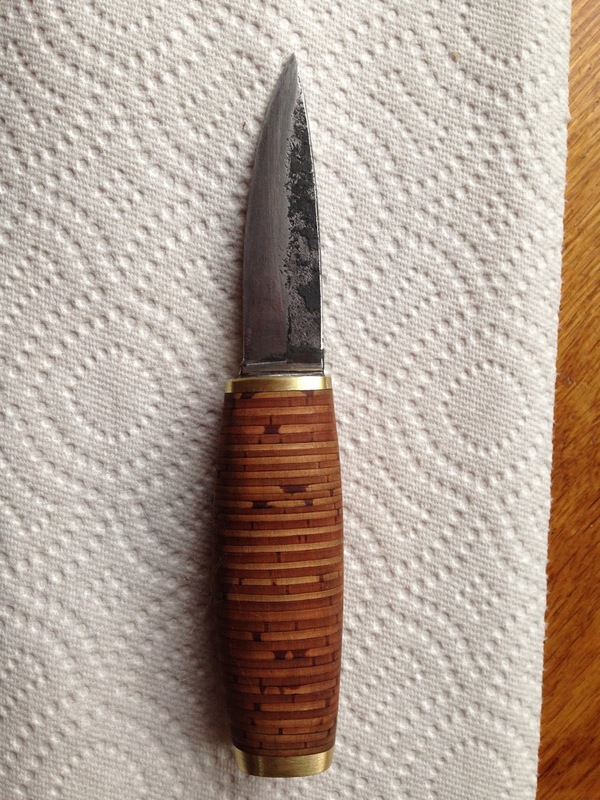 The Finnish Puukko is a traditional short-bladed knife for the working man or woman, commonly carried in a sheath on a belt. 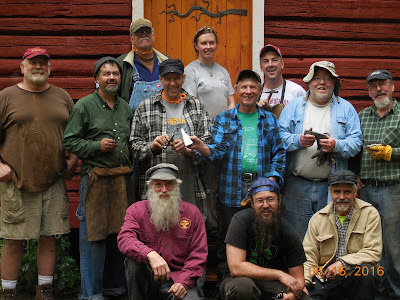 This class will involve forging the blade from carbon steel, shaping, hardening, tempering and fabrication of a handle from multiple layers of birchbark cross sections stacked on the tang. 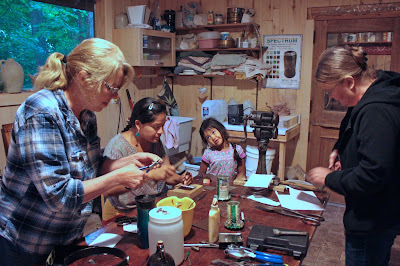 (Sheath making will not be a part of the class). Monday, June 24, 9:00 a.m. to 5:00 p.m.
An axe was an important tool in the early days. It provided the means to build a house of logs and to harvest wood for heat. The belt axe was a popular trade item and dates from the mid-seventeenth century to the late 19th century. Many thousands of "trade axes" were brought across the Savanna Portage near Big Sandy Lake. These axes were typically manufactured in England, France and Spain. They arrived by ship on the east coast and were then transported by voyagers in canoes to arrive at their destination, a trading post such as those on Sandy Lake. 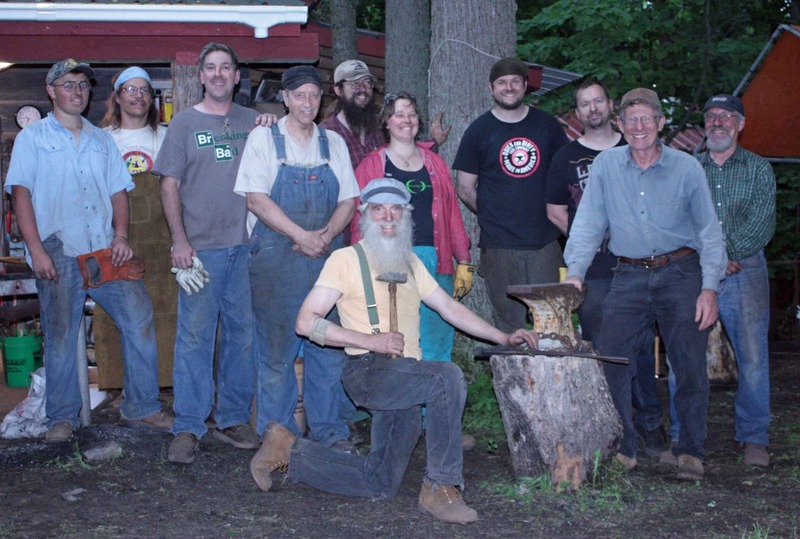 This will be a course involving forging a small belt hatchet or "Trade Axe" in the traditional manner using a coal forge, anvil and hammer. Prior forging experience is desired, but not essential. Be ready to go at our dock at 50569 218th Place, McGregor (Big Sandy Lake) by 9:00 a.m. for a short pontoon ride to the island. If you are running late you must contact Gary at 218.851.6085. The pontoon leaves the dock promptly at 9:00 a.m. You will be returned to the dock at 5:00 p.m.
What to bring: Bag lunch, safety glasses, boots, ear protection, leather gloves and cotton clothing (long pants, long sleeves). 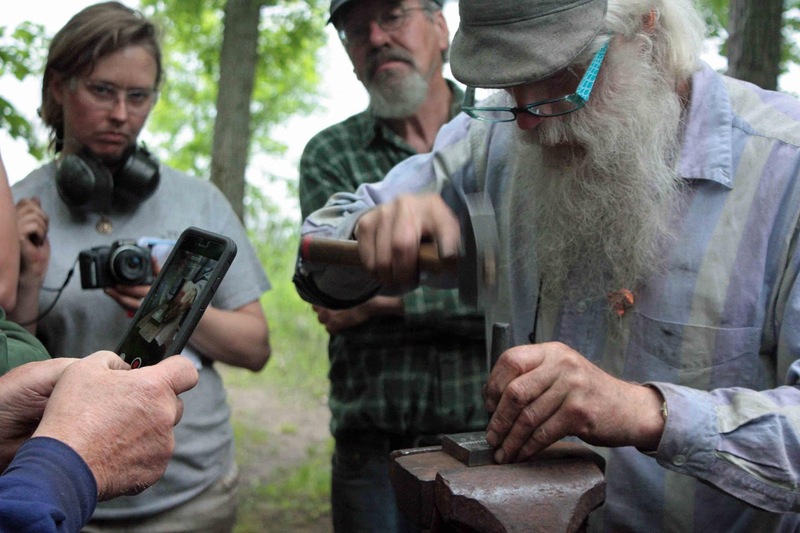 Students will forge a knife from a steel railroad spike, grind and heat-treat the blade. What to bring: Cotton clothing, gloves, boots, long sleeves and long pants, eye protection, ear protection and water bottle and bag lunch. 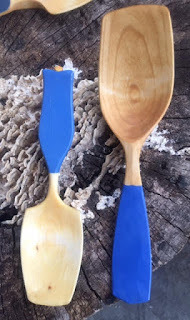 Spoon carving is what might be called a gateway to green woodworking. Seemingly simple, the spoon is a seductive and functional piece of sculpture rooted deeply in the common wooden culture of our ancestors. Spoons reached their highest forms of development in Scandinavia where they were in daily use from well before the Viking era until the 1950s in rural areas. During your two-day exploration, you will learn traditional safe knife strokes and safe practices from one of the America's best spoon carvers. You will begin on small projects, then move to spoons. Discussion and hands on demonstrations will focus on design, proportions, knife sharpening, decorating and finishing. This class requires some hand strength. - Scorp or hook knife available from (pinewoodforge.com). Get your order in early. Bring favorite old or new wooden spoons to share with the class. 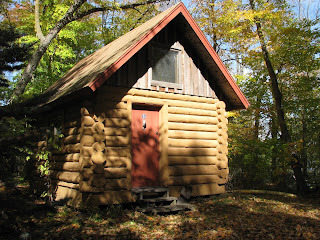 Accommodations are rustic (outhouse facilities; no running water), but they're comfy. If you prefer to tent, there are places to set up camp. 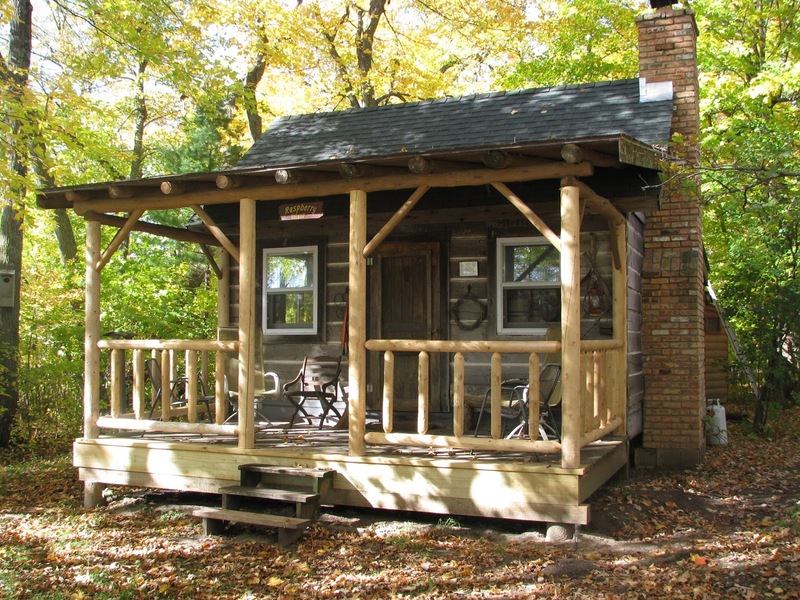 If rustic living isn't your thing, we can recommend local hotels and resorts. 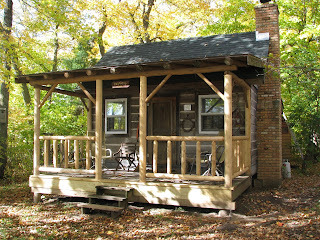 Beds are available in our cabins (shown below) on a first-come/first-served basis, free of charge. You will need to bring your own bedding (sleeping bag and pillow). Kjetil Groven's knife students. Kjetil is in the top row on the left. For more photos, check out the link below. These were taken by Grant Stromgren at our axe-making class with Tom Latane in June 2017. (Disclaimer: Grant gives permission to use any of these photos for personal use, but please do not take personal credit or sell any of these photos. Additionally, do not use them for business or commercial needs unless you ask permission from Grant first, via email to Gary Hill (hillx001@umn.edu). Thanks! and mail it with your check(s) to Gary Hill, 50569 218th Place, McGregor, MN 55760. Fill out one form for each student, for each class. We are sorry but we don't accept credit card payments at this time. Appropriate clothing and footwear for your workshop (this usually means old clothes you don't mind getting dirty or stained), and something to wear in the evenings if you want to change out of your work clothes. Beverages and snacks as you wish, and a small cooler if needed (refrigerator space is limited). If you have opted out of our catered meals, or if you have food allergies or other restrictions, bring pre-made meals. We can provide limited refrigerator space and warming options. Bathing suit and floaty things optional, for lake swimming off the dock. 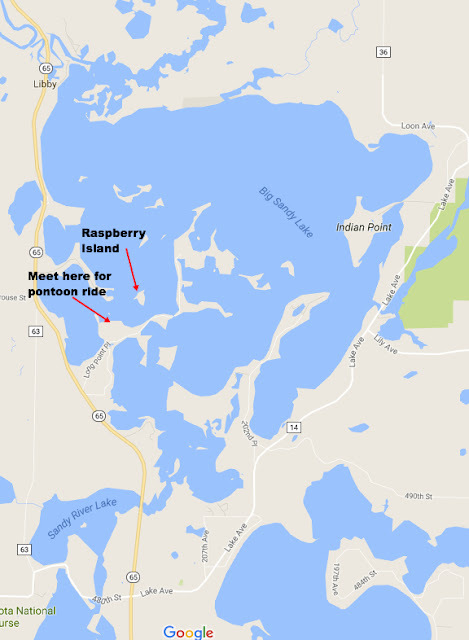 Raspberry Island is located on Big Sandy Lake, about 10 miles north of McGregor, MN, just off Highway 65. Our landing is at 50569 218th Place (see map below). This is where our dock is, and where we will pick you up when you arrive. There is parking available. From the south: From the Twin Cities, follow Highway 65 to McGregor (about 2 hours north). Driving north out of McGregor, MN on Highway 65, go about 9 miles. You'll pass Zorbaz restaurant on the right, and Eagle Point Resort after that. When you come to mile marker 127, start looking for a sign that says "Bridge Road." Turn right on Bridge Road (the street sign is Long Point Place). Go 1/2 mile, and turn left on 218th Place -- this is the first opportunity you'll have to turn left. Go a couple tenths of a mile, and you'll see our mailbox: 50569 218th Place. The best way to park is to continue up the road and turn around, and come back to park on the lake side of the road. Be sure to leave room for the postal worker if it's a weekday. From the north: Coming south from Jacobson on Highway 65, you'll see Big Sandy Lake on your left. You'll pass the overlook/memorial on your left, and Fisherman's Bay tavern on your right, and then you'll need to start looking for a sign that says "Bridge Road." Turn left on Bridge Road (the street sign is Long Point Place). Go 1/2 mile, and turn left on 218th Place -- this is the first opportunity you'll have to turn left. Go a couple tenths of a mile, and you'll see our mailbox: 50569 218th Place. The best way to park is to continue up the road and turn around, and come back to park on the lake side of the road. Be sure to leave room for the postal worker if it's a weekday.